This 46 inch LED television is one of the best on the market. Its sound quality and brilliant picture can compete toe to toe with its competition. Although this is Sony’s most expensive TV, the contrast quality is unmatched. This television is perfect for those who are shopping on the upper end of the market. Utilizing deeper blacks than any other television in this category, the Sony Bravia XBR-46HX929 perfectly details shadows and offers a lot of options. As far as design goes, it’s one of the most stylish big screen televisions on the market and fits perfectly into any living room. And to make it even better, the numerous internet streaming services and widgets pre-installed on the Sony Bravia XBR-46HX929 make it arguably the very best television on the market. The Sony Bravia XBR-46HX929 is very expensive. Also, the picture quality is problematic if seen from an angle. Sony doesn’t include 3D glasses with the purchase of this television. Although this television boasts some of the best features in its category, its uneven screen uniformity causes the picture to fall a bit short of its competition. But this television does follow Samsung’s simple goal of “making the TV disappear” when it’s on. The design of the Samsung UN46D8000 is unmatched. The high costs might be justifiable for high end buyers. But bargain shoppers might want to look elsewhere. An all picture design gives this television one of the best looks on the market. However, one of the coolest features is a duel-sided Bluetooth keyboard (included) that makes it extremely easy to access all of the internet features. This model is very expensive and in no way makes up for that cost in picture quality. Poor screen uniformity that results in various brightness variations are just one of the examples of the problems with picture quality. Although this model might have a few flaws in the 3D features, the beautiful style and HD quality are superb. In fact, there’s a lot to love about this television. Sony added internet features that are loaded with several live streaming options. This television is perfect for shoppers who are looking for a great overall television but don’t really care about 3D performance. The Sony Bravia KDL-46NX720 produces rich blacks and relatively accurate color. Also, the exterior design adds to its profile with a glamorous Gorilla Glass finish. This television is overpriced. Its 3D capabilities fall short of most other models and also the internet menus are a bit clustered – making navigation a challenge. The Samsung UN46D6400 performs quite solidly in both HD and 3D quality. It’s one of the most well-rounded televisions on the market. It’s perfect for shoppers who are looking to buy a great television but don’t want to pay an arm and a leg for flagship models. As an added bonus, the internet options are another major benefit and add greatly to the experience. The Samsung UN46D6400 hits the sweet spot between internet and LED televisions. The compact design and minute frame allow for a nearly all picture look. With very accurate colors, excellent processing, and an improved 3D picture from previous models, this television provides excellent overall quality for the buck. The high cost of the Samsung UN46D6400 is the biggest downfall. Another important note is that the search interface is almost completely useless and the interface for internet access is cluttered and quite confusing. The picture quality of the LG 47LW5600 is excellent, even in bright rooms. Let’s face it, 3D performance is not nearly as important as 2D. Even so, the LG 47LW5600 performs great in both categories. This is definitely a high end TV and its price proves that fact. But the costs are justified by superb performance. What ese makes this a great television? The remote is really cool (weird, but cool). The internet features offered are just as great as the TV itself. The sleek design and overall performance make this one of the best televisions on the market. Along with its excellent picture quality, this television has a well designed interface. Internet access is very easy to navigate. The LG 47LW5600 is a bit expensive, but judging from the overall quality and performance, the higher costs are justified. The design of the Panasonic TC-P46ST30 is a bit basic, but that in no way diminishes from the experience that comes with the excellent picture. Although this television lacks THX certification, make no mistake that its quality is still superb. The Internet suites and other features just add to the experience. If you’re looking for an affordable television but don’t want to give up a ton of quality, then the Panasonic TC-P46ST30 is that sweet spot. 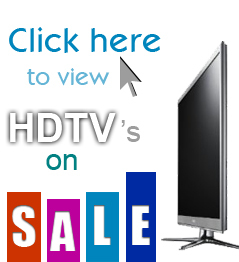 Overall, this television is great for those on a budget who want great quality at a discount. Along with its superb picture quality, this plasma TV has a simple and easy to navigate internet interface. The chunky design of the Panasonic TC-P46ST30 is really its only downfall. When compared to other flat-panel televisions, it’s a bit bigger. Also, it doesn’t include 3D glasses and because it’s a plasma TV, uses more power than and LCD.